defense and regularly appears at the Office of Judges, Board of Review, and the Supreme Court of Appeals. He has also an extensive background in defending coal operators and contractors in federal black lung claims before the U.S. Department of Labor, Benefits Review Board, and U.S, Courts of Appeals, Finally, Mr. Bowen has experience defending employers and insurance carriers in Kentucky' Workers' Compensation claims. Henry has served the West Virginia Self-Insurers Association as its Executive Secretary since 1988. He represents WVSIA before the Offices of the West Virginia Insurance Commissioner and its Industrial Council. 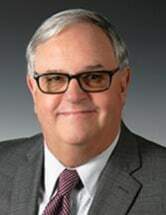 He is past chairman of the West Virginia Chamber of Commerce's Workers' Compensation Committee, the West Virginia Business and Industry Counsel's Insurance and 'Workers' Compensation Committee and West Virginia's State Bar's 'Workers' Compensation Committee. Henry currently serves on the West Virginia Chamber of Commerce's Government Relations Committee and he is an active voice for employers within the workers' compensation arena and a frequent lecturer at Workers' Compensation Seminars. Having received his B.A. degree from the University of North Carolina and his J.D. degree from West Virginia University, he is a member of the West Virginia and Kentucky State Bars and a member of the Defense Trial Counsel of West Virginia.